As you know that Netflix is Popular nowadays. Netflix is streaming both Hollywood and Bollywood movies. Bollywood is the largest film industry in the world. There are such a notable number of Bollywood films on Netflix to look over that you probably won’t become tired of the suggestion. So there are some best Bollywood movies on Netflix. Today, we are going to tell you about 8 best Bollywood movies on Netflix. If you are a Bollywood movies lover and want to watch Bollywood movies with your friends and family so you have to do only one work. Just read this guide……. This is one of the best Bollywood movies and also it is available in high quality on Netflix. Queen is released in 2014. The main character in this movie is role by Kangana Ranaut. Queen is just an amazing Hindi Bollywood movie. The story turns around a common family girl who has never set her foot out of her quiet zone and she is now decided to travel Europe on her personal. As she travels the world and joins new people, she gets new experiences and finds her own personality. The movie is sad and funny at the same time. Kangana Ranaut plays the lead role, Rani. Queen is the movie about Growing up. You can watch this movie with your family. So we highly suggest you watch this movie on Netflix. Yes, you can Piku on Netflix. This is also one of the best Bollywood movies on Netflix. Piku Movie is released in 2015 which is based on the Indian comedy-drama. Deepika Padukone, Amitabh Bachchan, and Irfan Khan are the main character of Piku. ‘Piku’ explores the story of a father & daughter, along with a dry-humored car-hiring business owner.’Piku’ is just about relationships & responsibility. The story wonderfully narrates the relationship of an overbearing, sick father & his hard-working girl child. Piku is sweet and simple Hindi movie. It is a movie to experience. I must say you should watch this movie for an amazing experience. This is romantic comedy Bollywood movie which is released in 2017. This film turns out a huge success. The film stars are Ayushmann Khurrana, Kriti Sanon, Rajkummar Rao, and Pankaj Tripathi. The story revolves around Bitti who is a really cool ‘tomgirl’ every boy would desire to hang out with. But things got tricky when no boy coming with a marriage proposal seems to approve of her rowdy ways. This one is an entertainment bomb. Basically, it’s a story of the career-defining girl. It is one of the best Bollywood movies in 2017. Yeah, you can watch Padman on Netflix. This is one of the best Bollywood movies on Netflix. Padman is release in 2018 which is a full Indian comedy-drama film. The lead role is played by Akshay Kumar, Sonam Kapoor, and Radhika Apte. This movie is based on the real story. 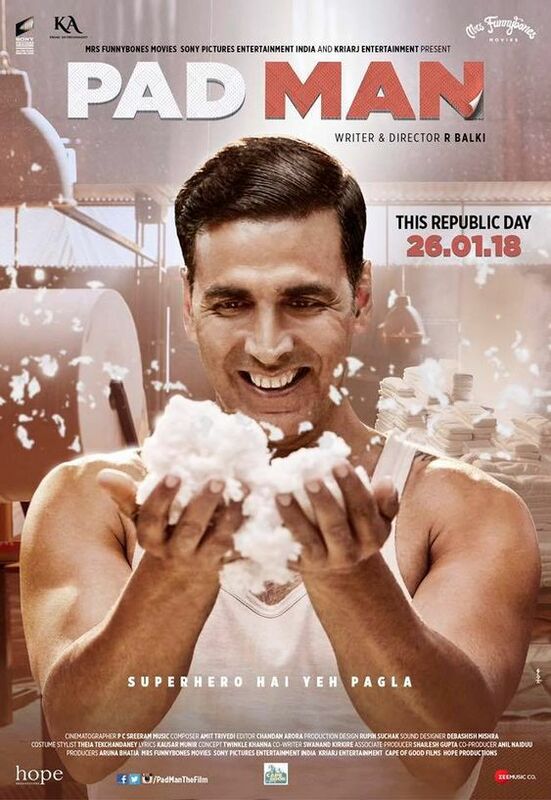 Akshay Kumar plays a role of Laxmikant who is shocked when he sees Gayatri, his wife, using a dirty cloth during her periods and decides to build a machine that could make sanitary pads at affordable rates. Padman is a movie which has romance, comedy, serious as well as heart touching moments shared equally. You can watch this amazing Bollywood movie on Netflix. Jab we met (2007) is everyone’s favorite movie. This Indian romantic comedy movie is also available on Netflix. It comes in the list of best Bollywood movies on Netflix. Shahid Kapoor & Kareena Kapoor are the main character in this movie. Shahid Kapoor role as Aditya, a sad tycoon on the edge of committing suicide, suddenly leaves a train. He meets Geet (Kareena Kapoor), a high-spirited girl who plans to fly with her lover and gets himself pulled into her crazy life. It is a very simple, attractive and beautiful film about a heartbroken and serious boy who meets an extremely happy and chatty girl who regularly manages to change his plan of life and love. And then, the story changes over in a very interesting way. You can watch this Hindi Bollywood movie with your family. So you should definitely watch Jab we met, there is something different in this movie. No need to tell that Udta Punjab is a wonderful movie. Udta Punjab is 2016 Indian black comedy crime film. Shahid Kapoor, Alia Bhatt, Kareena Kapoor, and Diljit Dosanjh are the main character of this movie. This movie takes to light the Narco terror that Punjab is facing now. This movie involves every effort which makes a movie perfect – Action, Emotion, Drama, Suspense, Investigation, Love, and Hate. Only a few movies are there in Bollywood who have taught this kind of reality without any fear. Hats of to the Director. We strongly advise this as a fabulous watch for everyone who desires to move over the reel Punjab to see real Punjab .Go and watch this great movie on Netflix. As you know Amir Khan is a person who is amazes everyone.Amir khan plays a lead role in Dangal.This movie dangal comes in the list of best bollywood movies on netflix. Dangal is a 2016 Indian Hindi-language biographical sports drama movie. This awesome movie is directed by Nitesh Tiwari and produced by Aamir Khan. The film is based on the Phogat family, telling the story of Mahavir Singh Phogat(Aamir Khan), an amateur wrestler, who trains his daughters Geeta Phogat(Fatima Sana Shaikh) and Babita Kumari(Sanya Malhotra) to become India’s first best and world-class female wrestlers. Mahavir Singh Phogat is a retired champion wrestler. He is married to Shobha Kaur. Phogat’s dream is to win a gold medal for India in the fight. He is incapable to do this. He promises that his son will do that. Phogat is frustrated when Shobha gives birth to four daughters. He does not consider girls can wrestle great. But, when two of his girls, Geeta and Babita, come home after beating up two boys. So it has a totally amazing story. Go now and watch this Bollywood Hindi movie on Netflix. Mom is not just a word is an emotion and this movie is successful to learn this thing.You can watch this beautiful and best bollywood movie on netflix.Mom is a 2017 Indian crime thriller movie. It is directed by Ravi Udyawar in a screenplay and written by Girish Kohli. Mom is the last work of famous Bollywood superstar Sridevi who sadly passed away last(2018) year. The story turns around a mother (played by Sridevi) who is demanding revenge on a group of boys who attacked her daughter(Sajal Ali) and avoid justice. Sridevi is outstanding and her performance is soul touching. The movie was released on 7 July 2017, in four different languages, and received many positive reviews from film critics. It was strong and successful commercially as well earning almost ₹65 crores worldwide. And the excellent and heart-wrenching performance of Sridevi makes it worth watching. If you are a big fan of her, you should definitely keep this Netflix Hindi movie in your watchlist. So this movie is must watch and an eye-opener for everyone. The 8 movies that we mentioned in this list are best Bollywood Movies on netflix. So you can start with these movies. They all have an excellent rating. Hope you Like this guide. Also, share this guide with your Peers! 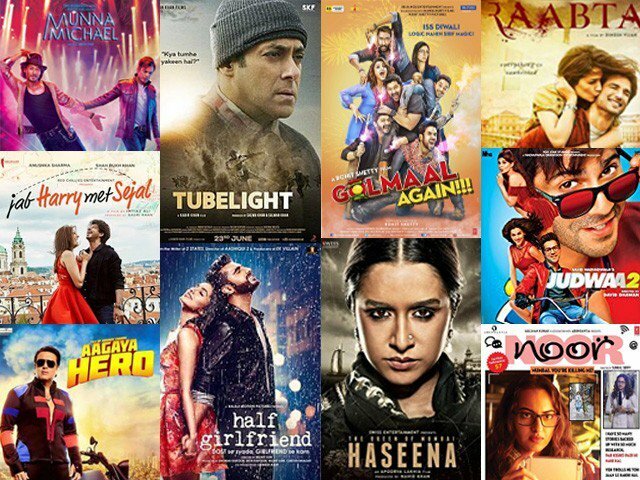 If you like any of listed movie, let us know in comments section. We are happy to hear from you .